Roll up, roll up! 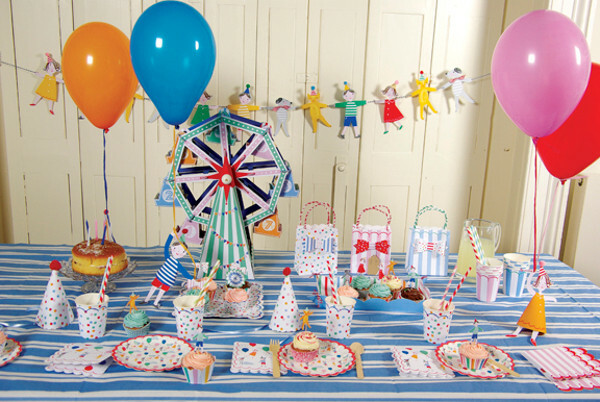 Come take a look at this festive fairground partyware from Toot Sweet. 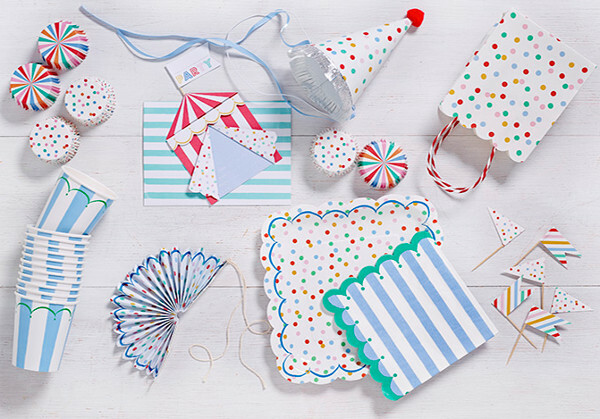 Perfect for throwing a carnival or circus-themed party, or just to add a splash of colour to your celebrations. Cake toppers, cupcake wrappers, tablecloths, bunting… anything you may need for an excellent event, Toot Sweet have made in their darling designs. The range is mix-and-match, so you can create your own unique theme or opt for something classic. 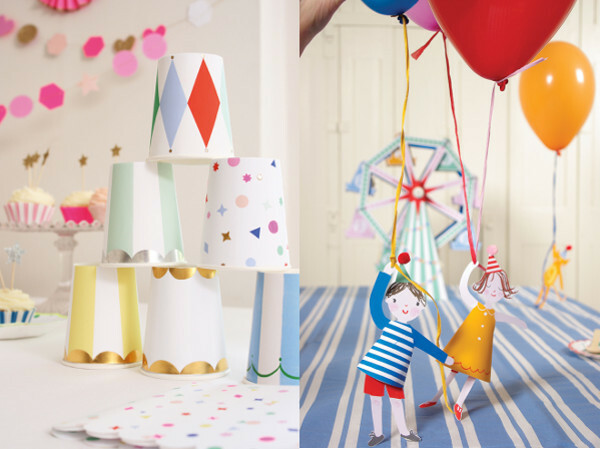 Muted pastel colours and bold primaries come together beautifully, while charming cartoon children run across bunting and cake toppers making Toot Sweet just too sweet. For a truly unforgettable party, grab one of the amazing cupcake ferris wheel centrepieces ($42.95) that can hold up to eight delicious delights. What a treat! Other items in the Toot Sweet range are priced from $4.95. If you are looking for something a little more sophisticated, they also have sets that are matched by colour. The pink and gold glitter set is ideal for a girl’s party, or a Barbie theme. There is ample opportunity to get imaginative with this versatile brand. 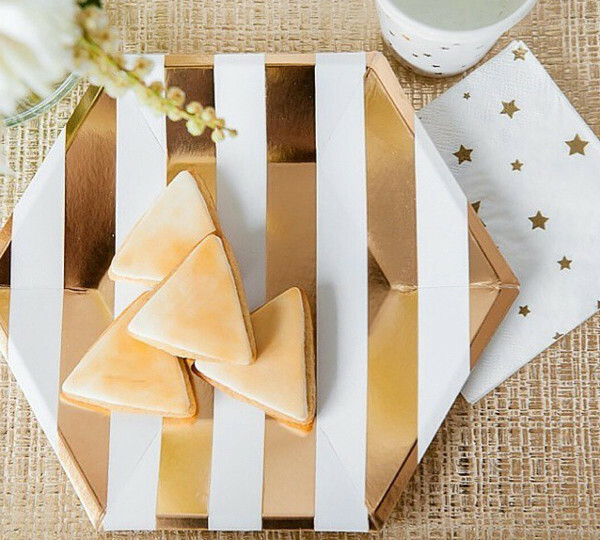 If you are in Australia or New Zealand, you can get your hands on some Toot Sweet ware at Emiko Blue, which will happily post your order out on the day of purchase. If you are elsewhere, you can order direct from the Meri Meri Toot Sweet website.